FULL SPEED AHEAD…. with Edward Hopper’s Transportation Art Lessons Bundle. Introduce your students to the wonderful world of Edward Hopper’s magnificent art. Children create their own artwork inspired by Hopper’s travel and transportation paintings. These lessons are perfect examples of incorporating art history with basic art supplies, to create the most beautiful works of art that every student will be proud of. Over the past 20 plus years, I have found that using a thematic unit for grades K-6 is wonderful because each class learns about the same artist or culture. A thematic unit helps make your classroom setting more manageable due to the fact that you are using the same inspirational pieces of artwork and books. Using these same resources among the various grade levels helps save you time and preparation. This bundle contains lessons for every grade level from 1-5. Lesson times vary from two to three 40-minute classes. – Coloring sheet handouts to be used as an extension or for early finishers. Teachers can use a projector to project handout on smartboard for inspiration. I like to print out my lesson plans and store them with my Painted Paper Art Teacher Planner. If you are concerned about printing you may want to print just the handouts. I’ve designed them in black and white so you can photocopy them inexpensively. The inspiration for these delightful projects are the beautiful paintings Edward Hopper created in his travels across America. He really captures the beauty of transportation in these particular pieces. 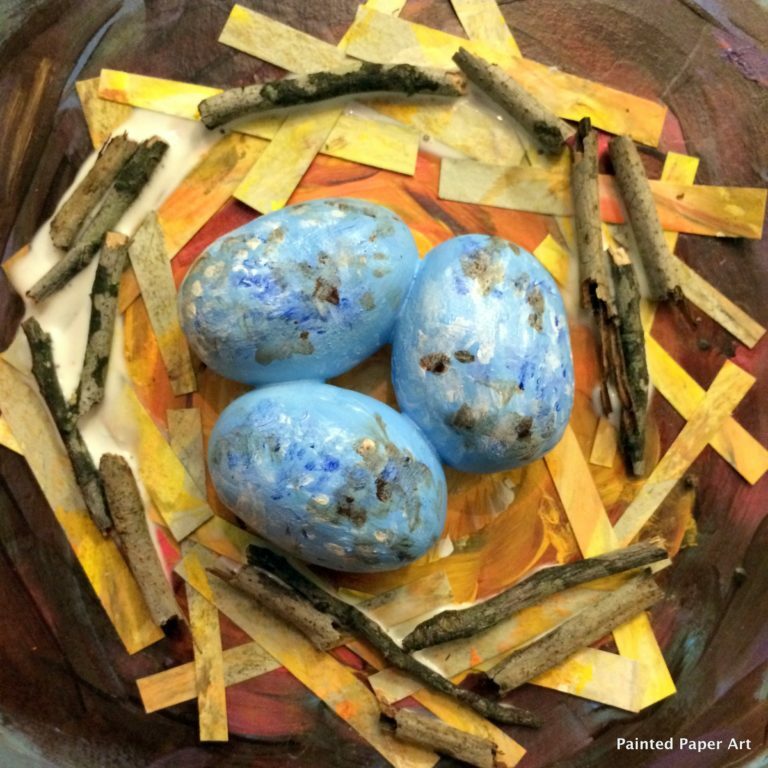 These mixed media projects use oil pastels, watercolors, tempera paints, crayons, sulphite paper, and construction paper along with painted paper to create the most beautiful paintings any parent, grandparent or teacher would loved to frame. These lessons are great for ages 6-11 but many of these lessons can be adapted for older students when using these directions. Make sure to follow me on Social Media for updates on Instagram and Join my Facebook Group: Painted Paper Pack. Thanks for stopping by and keep on creating!